If you are dealing with a wayward child your soul is no doubt in deep anguish. As you watch your son or daughter make harmful, negative decisions you long to return to the early years when you could sit them in a chair and MAKE them behave. Oh, to have back some control! Maybe you have already given up on having any control. By now you have tried “talking some sense into them”, laying on a good guilt trip or perhaps out and out begging. Those didn’t work. You have finally accepted that you cannot change a human heart; only God can. Now you grieve privately – and pray. Praying of course is the most effective thing you can do. But what kind of prayer? Is there a prayer that short circuits rebellion? Is there prayer that cuts through the destructive patterns and produces the heart change spoken of by Jesus in the parable of the Prodigal son? “But when he came to his senses, he said, ‘How many of my father’s hired men have more than enough bread, but I am dying here with hunger! '” (Luke 15:17) Finally seeing the light, the young son returned to his father’s house and was fully welcomed. That’s what you want for your child too. “while he was still a long way off.”(Verse 20) This means he must have been out watching for his son all the time. He anticipated his return but he didn’t know exactly when so his eyes constantly searched the horizon. This is active waiting. You can be busy watching too; praying bulls-eye prayers that hit your child’s heart even if they are far off. That’s far more control than you realize. You can replace the generational curses with generational blessings, which last a whole lot longer. “Know therefore that the Lord your God, He is God, the faithful God, who keeps His covenant and His lovingkindness to a thousandth generation with those who love Him and keep His commandments.” (Deuteronomy 7:9) You are the one who loves him and keeps his commandments so claim that for your son or daughter and for the generations beyond them to come. This parable invites you to give God no rest until he answers your prayers for your wayward child. Use it persistently and aggressively. You can say; “Lord, I cry to you day and night. Do not delay over me. Bring me justice speedily.” Keep pressing in your claim! Ask God to give you a specific scripture that you can pray and claim for your child. For instance, God gave a friend of mine this Word in praying for her prodigal son; “I have seen his ways, but I will heal him; I will lead him and restore comfort to him and to his mourners.” (Isaiah 57:18) What a comfort and encouragement that has been. Refrain from manipulating or trying to do the work of the Holy Spirit yourself. Your child will usually see right through your tactics. 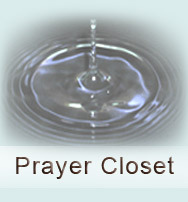 Pray and then let God arrange divine appointments etc. He doesn’t need your help and he’ll do a much better job than you, I promise. Avoid demanding time frames. Yes you want it to happen NOW but you will end up frustrated and discouraged if you claim timings that God does not initiate. This is a very delicate balancing act: pressing hard and aggressively for your child’s return to the Lord and yet waiting patiently and trusting God for his way and his time. Don’t give up no matter how long your child sits in his pig pen. Keep watching and expecting his return. Have the fatted calf in the wings, waiting for the big celebration. It’s coming. “Is anything too difficult for the Lord?” (Genesis 18:14) NO! NOTHING!